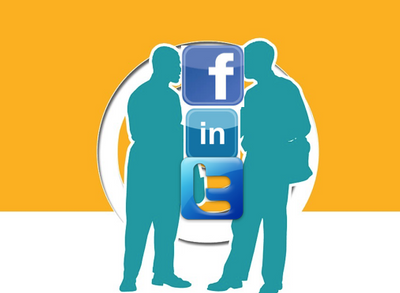 Talking about Time Management, I have seen and heard so many of the expectations that people have using Social Media, that it totally drives me bananas. Having been fortunate to work with sales people who are commission-based only, i.e. 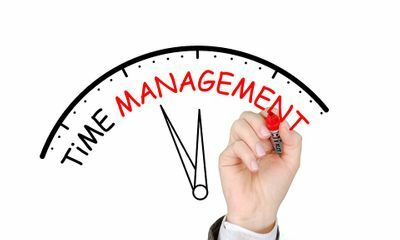 life and P&C Insurance agents, credit card processing merchants, travel agents, etc., etc., the following should be true for all: Time management is crucial and directly related to commissions. One of the issues i come across frequently in my coaching sessions, are PROCRASTINATION. In my humble opinion, i think procrastination is a disease many people suffer from. Sometimes myself included. Around eighteen months ago i have been called in to evaluate and help with a family run business. There are 22 sales people with no sales manager. The so called sales manager is the boss's son. He has no training, never been in sales before, Here is a young man (very nice ) i must say, but is lacking the experience needed to run a group of sales people. Have you ever bought rechargeable batteries? You may think: “Well, these will outlast regular batteries. I won’t have to buy batteries ever again.” But even rechargeable batteries run out of juice. Everyone eventually needs a break, especially salespeople. Last night I had dinner with the number one sales rep for a $10 billion sales organization. We discussed the corporate sales jobs and the independent sales career he has had in his 40+ year of selling. Interesting, that in each one of them he struggled when the corporate compensation plan was changed. For the last fifteen years i have been attending World Travel Market in London UK. This time i am here promoting my new book titled "Are You For Real?!". 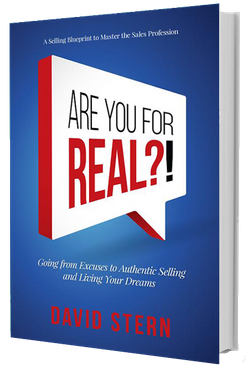 You won't believe how many sales people are interested in the topic, i have 388 eBooks already ordered so far. With many waiting for the audiobook coming at the end of the month. The business of selling has many facets to it, just like a diamond that needs to be cut, shaped and polished. You are in sales, so you will understand this. I ordered 500 hard cover books from the printer, they arrived today with the wrong isbn number and the price is listed as $19.95 instead of $24.95. What this means is that i will have no choice but sell it for $19.95 each. I lose $5 per book. Would this upset you? It has done a number on me, but, we are human and CRAP HAPPENS. We swallow our pride, put the ego aside and we move on. There is no doubt that the more product knowledge you have the more sales you can write. Following up with clients who already purchased a product or service from you, updating them with more information about that service or product, will make them realize how much you care about their business. This will give them good enough reason to refer you to people they know to purchase from you. There are many sales opportunities out there, there are many companies that offer good paying sales positions, salaries and commission. The sales career I wish to address today is outside sales. The sales opportunity where the sky is the limit how much you can earn. The sales career that you go out knocking on doors to find customers.